Having the merits of being light-weight, energy efficient, in addition to low manufacturing cost, reduced fabrication complexity, and the availability of inexpensive flexible substrates, flexible and wearable technology is being established as an appealing alternative to the conventional electronics technologies which are based on rigid substrates. This chapter is organized as follow into three major sections. In the first part, a detailed review of wearable antennas including applications and antenna families is presented. The second part of this project deals with the flexible antennas materials and fabrication methods. A wearable antenna prototype for medical applications, more accurately, early breast cancer detection, is discussed in the last section of this chapter. 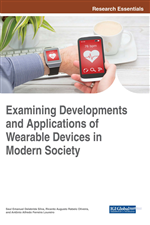 Wearable antennas have been a topic of interest for more than the past decade, and hundreds of scientific papers can be found on the subject. This large number of publications asks for some classification in order to get an overview of the trends and challenges. To this aim, an overview of wearable antennas according to the applications, antenna families, materials, and technology, is proposed. Our main focus will be orientated towards wearable robust antennas intended to operate in various harsh environments. These antennas are mainly used for security and defense applications (Psychoudakis, Lee, Chen, & Volakis, 2010) and within different rescue services like firefighters (Hertleer et al., 2009), mountain and water rescue workers, (Figure 1), (Serra, Nepa, & Manara, 2011), (Corner, 2013).